Learn the techniques and skills of cake piping using buttercream to complete a professional finish. 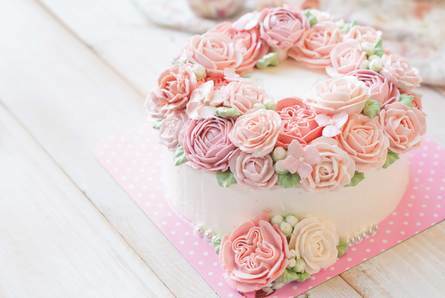 Under the guidance of tutor Rosemary Hughes you will learn to prepare and texture your cake, make buttercream to piping consistency, colour your buttercream and learn the techniques to pipe flowers and designs in different colours for the perfect finishing touches to your cake. Suitable for beginners or decorators who have attended the ‘Introduction to Cake Decorating Workshop’. Participants will bring home their boxed finished cake. All equipment and ingredients are included. Full notes will be available for you to take home. All you need to bring is an apron.